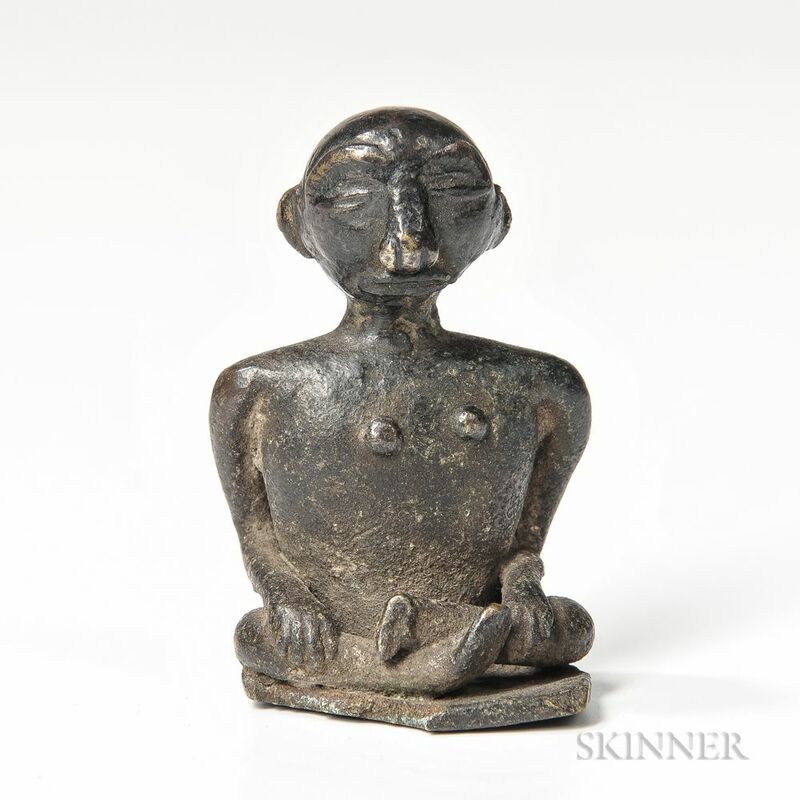 Fine Akan Brass Goldweight, cross-legged figure sitting on a base, ht. 2 in. Provenance: Newman Collection, New Jersey; Sotheby's Parke Bernet, New York, October 10, 1975, Lot 128; Jay C. Leff Collection; formerly in the collection of Miguel Covarrubias. Exhibitions: Carnegie, Black Africa, no. 125.